Christmas has passed and Ice is finally starting to form on some of the lakes here in Ontario. 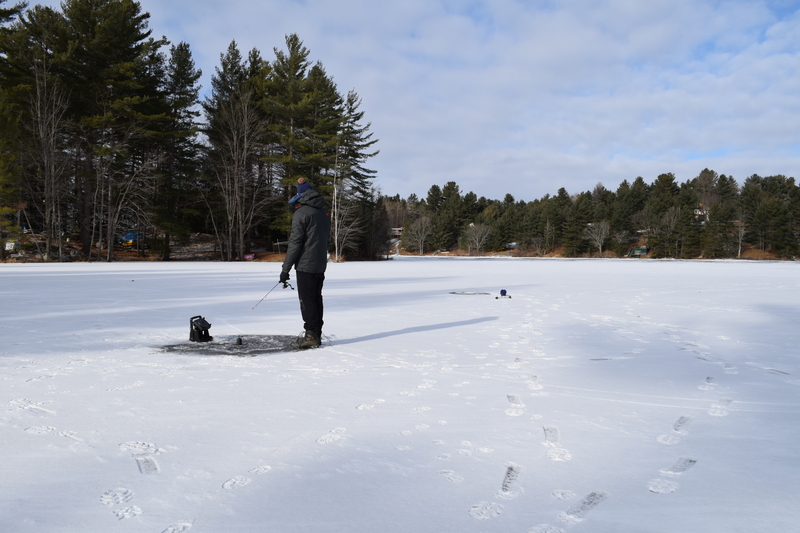 Most of the ice is sill very thin and unstable on many lakes however, some of the smaller more shallow lakes are frozen and can be fished. 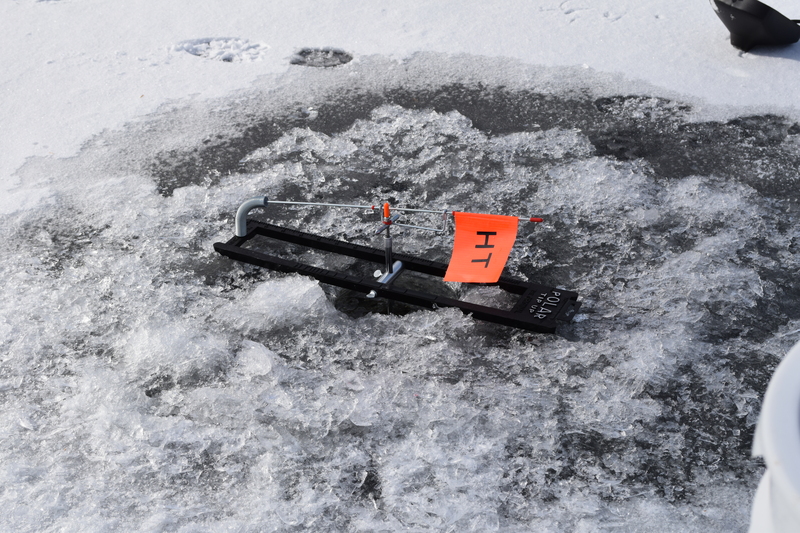 During a visit to my friends cottage on Long lake we ventured out onto the newly formed ice to tests it out. To our delight there was 6 to 8 inches of solid black ice. Perfect for Ice fishing on foot. We spent two to three hours drilling holes and checking out the fish activity in a few spots. We ended up icing two perch, bot caught with live bait on a set line. With the winter w have been having, these conditions are very promising. I can’t wait for some other lakes to freeze up.